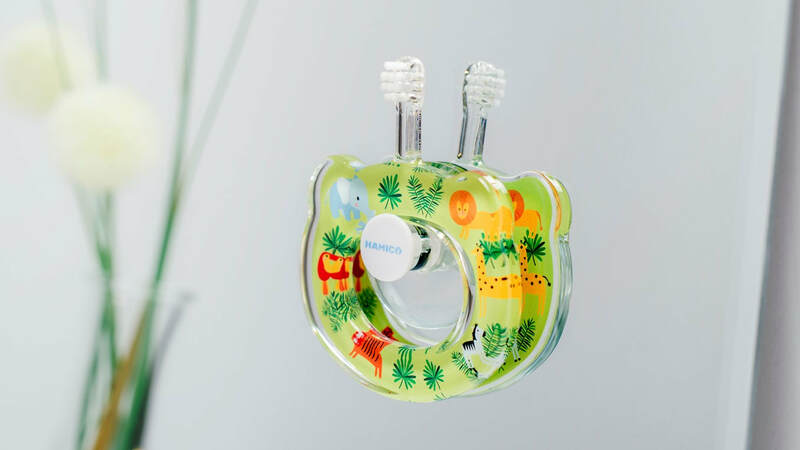 ​A toothbrush that both you and your baby will love! 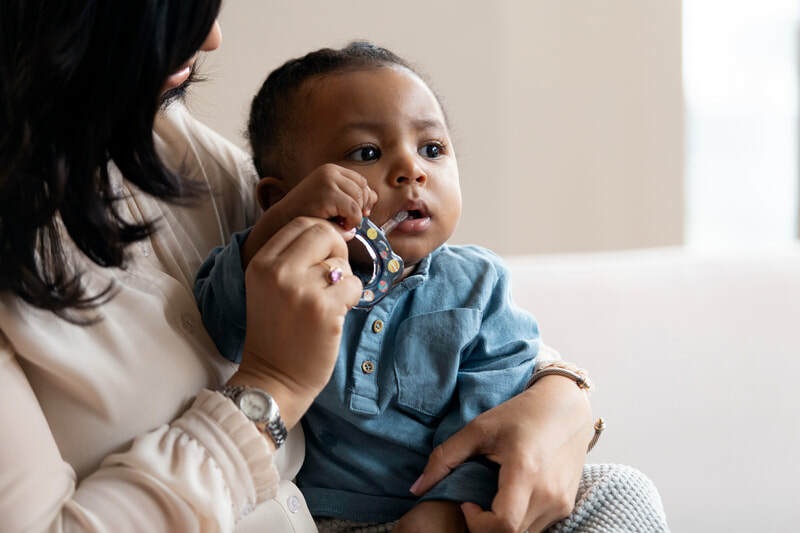 We understand that it’s not always easy to brush your baby’s teeth (to say the least). To make the brushing effortless - our extra wide handle is made easy to hold for both babies and parents. And our comfortable small size head with soft, rounded bristles maneuvers effortlessly around tiny teeth. 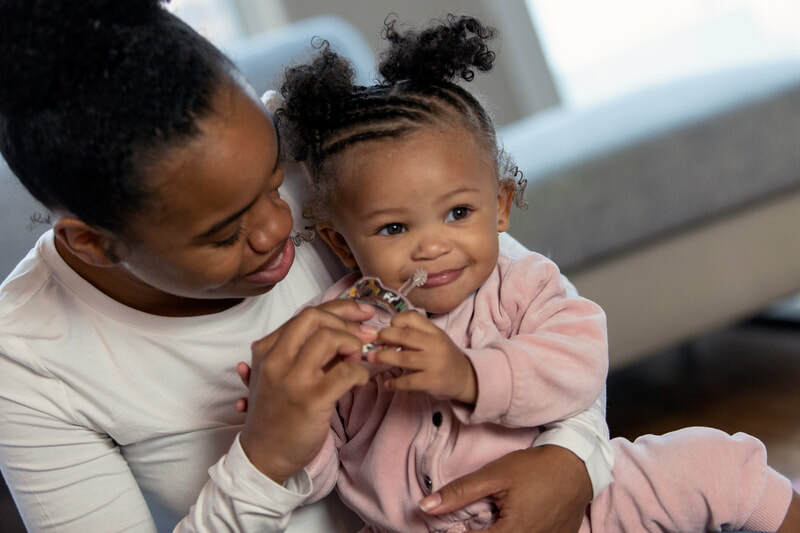 Babies will naturally enjoy holding their toothbrush and develop fine motor skills with just a little help from Mom and Dad. We kept safety in mind first and foremost. An extra wide handle which prevents over-reach of the brush into your baby's mouth. Soft, rounded bristles which get in between teeth without scratching baby gums. Designs cannot be peeled off and be swallowed by accident due to the original printing technique. The most effective brush available for your baby. Wide, flat handle for excellent control. Small head and short bristles fit comfortably in baby's mouth. Rounded bristles remove food and plaque easily with gentle brushing. Baby Hamico toothbrush is a joy to use! 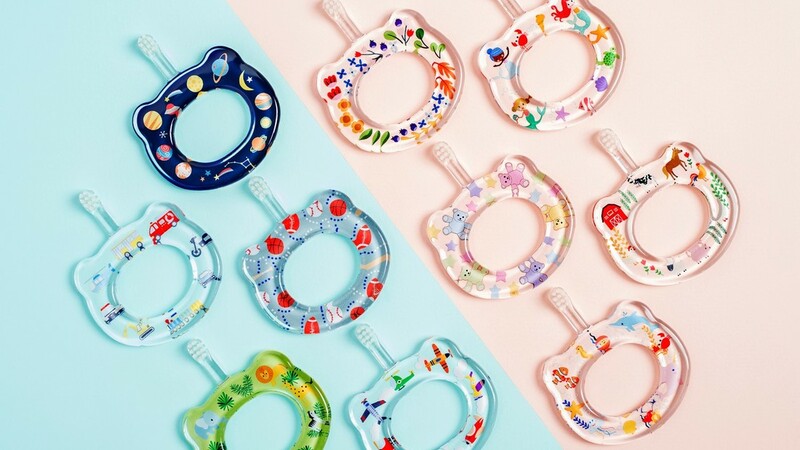 Playful toy-like designs are baby friendly. Easy to hold handle makes brushing a very pleasant and natural experience for both parents and babies. Hamico baby toothbrush introduces your baby to oral care and makes it a pleasure, not a painful chore. This collaborative brainchild of a dentist and dental hygienist evolved from years of experience in schools teaching thousands of children to brush. 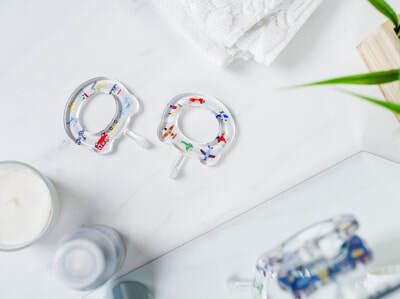 Gone are the days of tears and even injuries from toothbrushes that just aren't right for your child. Imagine instead, precious family time learning to brush teeth! Breakthrough design elements include a wide, easy to hold handle that is completely safe. Long straight handles can accidentally poke and injure your baby. Baby Hamico is injury-free. 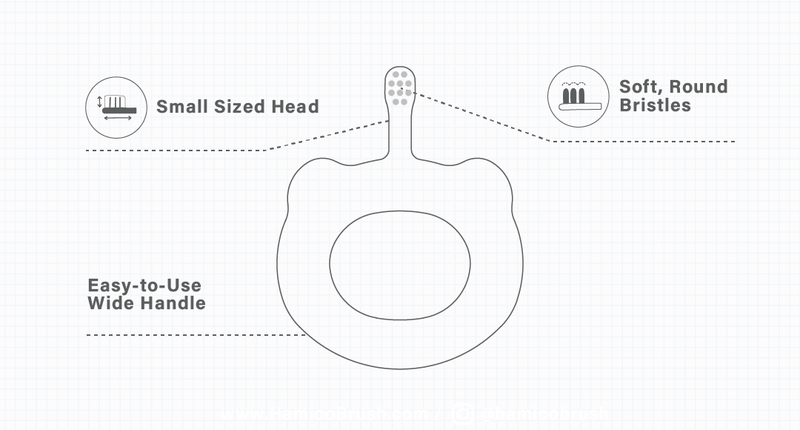 The short neck and specially sized head fit perfectly in baby's mouth easily reaching all of their teeth without extending too far. 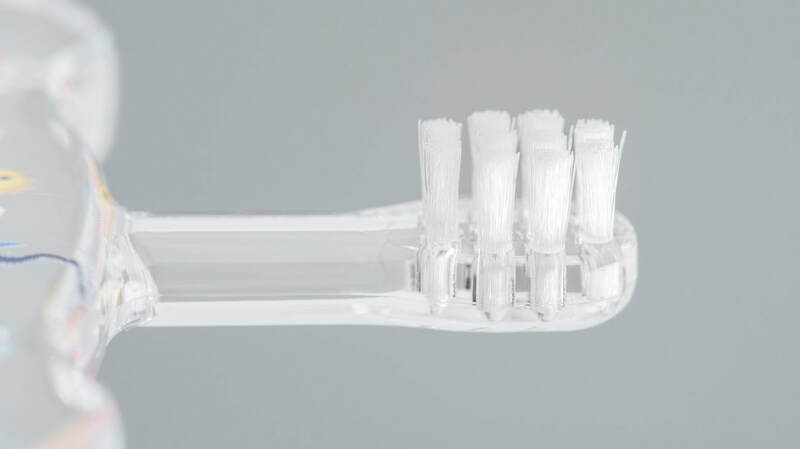 With our specially designed soft bristles you can clean teeth and caress gums without ever scratching. 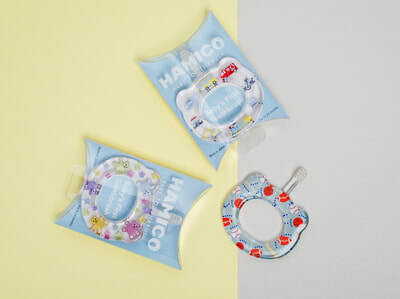 And, baby Hamico comes in range of colorful and playful designs you baby will adore!